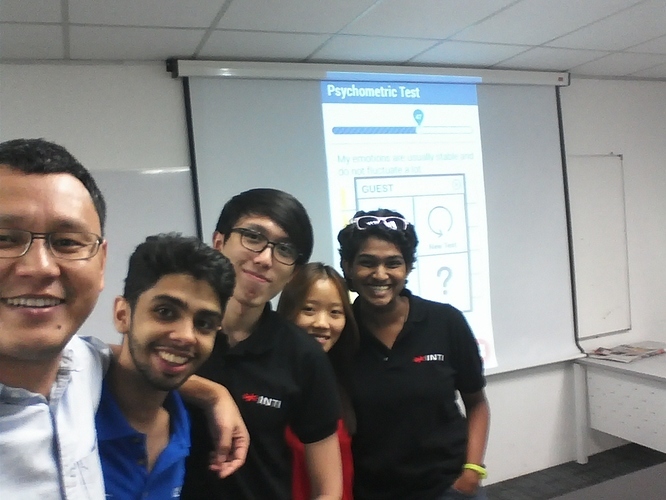 At EasyUni we are always open to collaborating with universities and colleges and students. Since a few months ago I’ve been working with a group of IT / Computer Science / Software Engineering / Multimedia students at INTI International College in Subang as part of their Final Year Project. 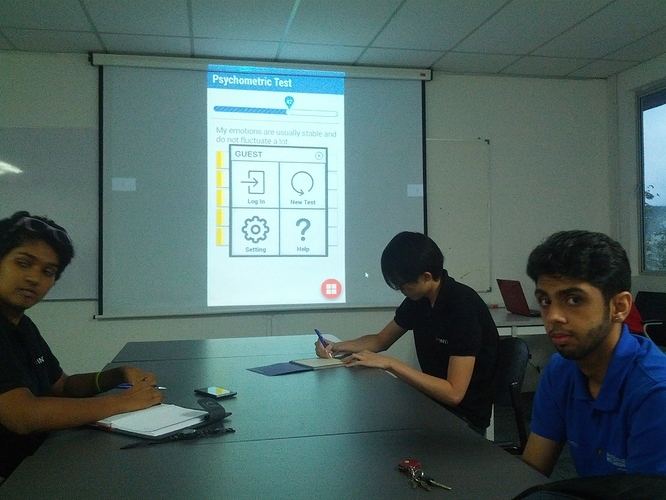 Their project is to develop a new version of the psychometric app on Android (that we first developed 5 years ago and since then didn’t have time to improve). 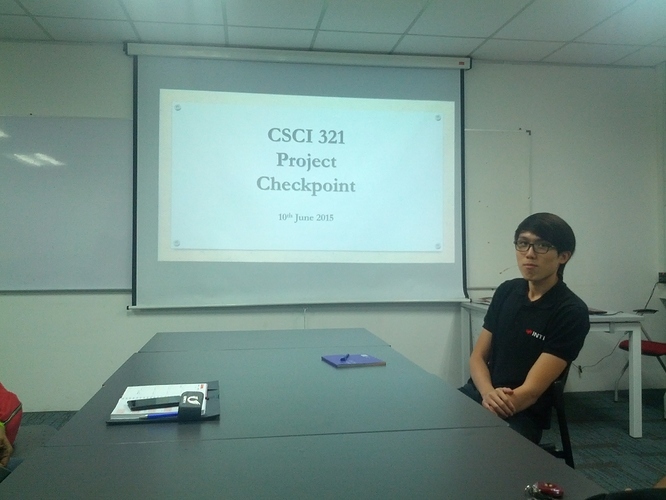 Today we had a checkpoint meeting where the guys presented the design of the app. So far the designs are coming out okay. Definitely better than our old app’s design I gave them a couple of tips for improvement. Overall I’m positive they’ll do a good job. Left to right: me, Hartrishen Singh Walia, Ng Chun How, Lim Mei Ting, ‎Andrina Clare Morris. Oh wow, so nice! Why I’m not an IT guy Wonna do stuff like that too!